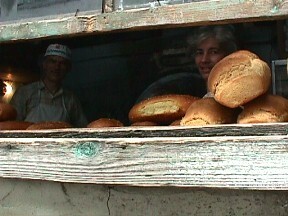 There are two breadshops in the village. 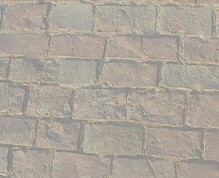 One above the upper platia and the other behind the new church. They both make excellent choriatiko psome (village bread), dark and very rich. 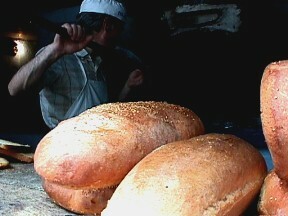 Yannis shop is also known for his paxamadia, a hard bread that is dipped in water or milk. On Sunday they don't bake bread but their wood burning ovens are used by the villages to make dinners of lamb, rabbit, chicken, or briam since many houses do not have ovens or if they do, getting them started is a major endeavor, or they don't want to make the whole house hot when they can easily just take the food down the street to be cooked. One time Tryphon cooked an entire cows head and then had a big party in the Platia where they ate it. It was cooking all day long. We had a plate of it but it was not my favorite dish. It was kind of tough and fatty. One of the benefits of being the baker is that when there is a heat wave in the summer, they don't even seem to notice it since the temperature in the tiny bakeries is probably about 120 degrees from the oven. Yannis has no trouble keeping his weight down either.